Mounted to the wall, this sturdy metal rack conveniently stores media draped over its twelve flat bars. 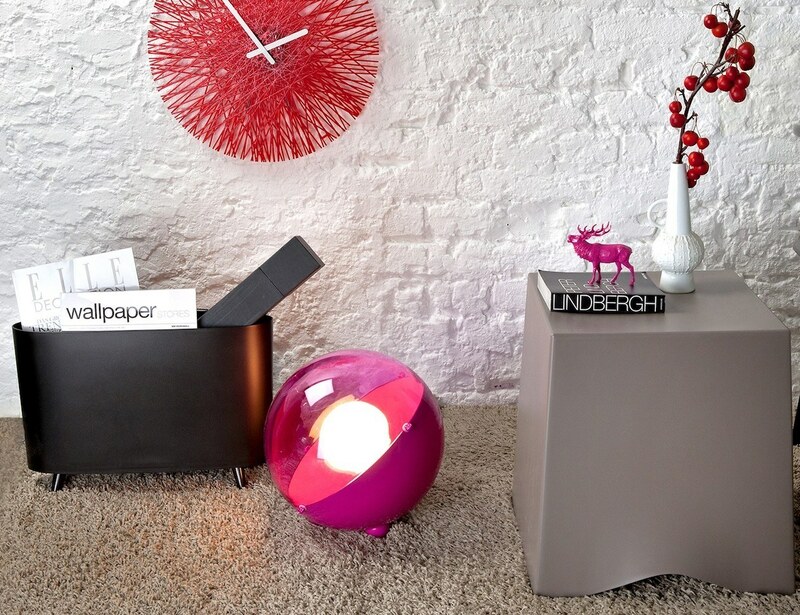 Stash your reading material in style with the Milano Plastic Magazine Rack and Koziol. 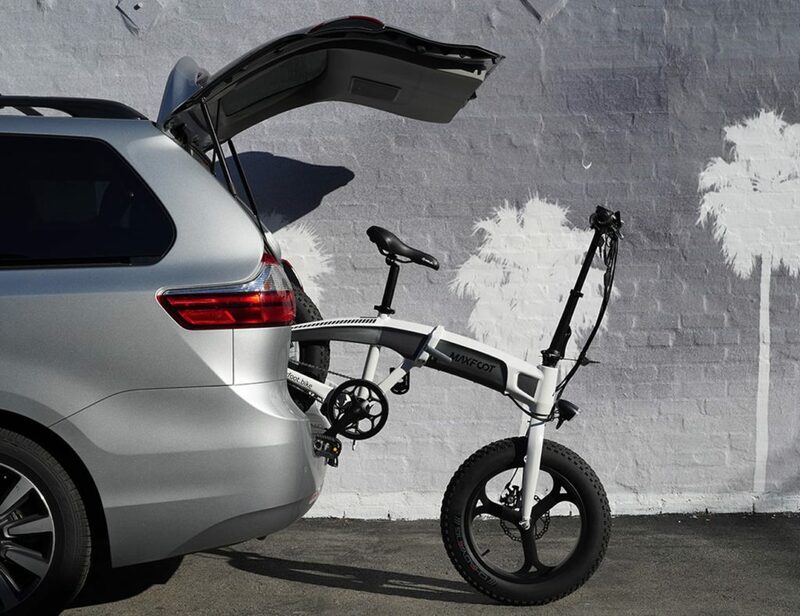 Coming in a variety of colors, the rack also comes in a stunning transparent clear. 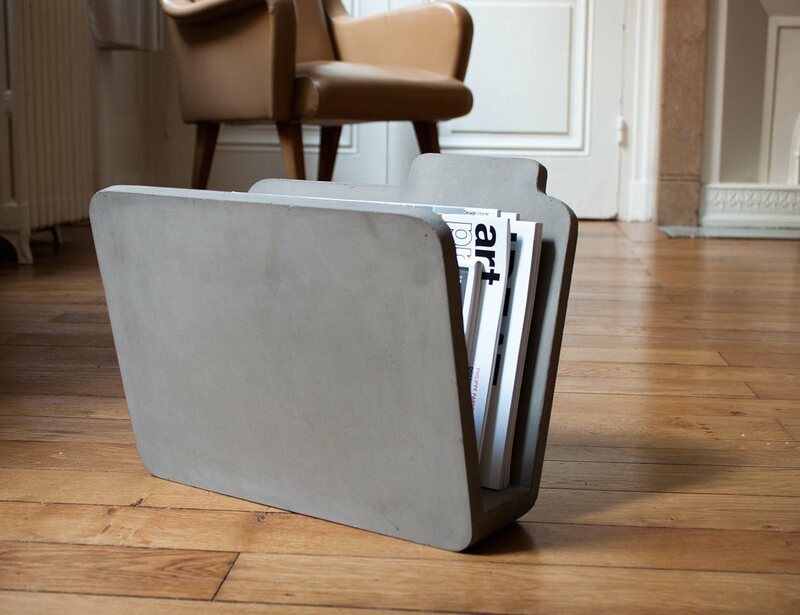 Your computer file icon now comes in the physical world with the Concrete Magazine Rack by Bertrand Jayr. 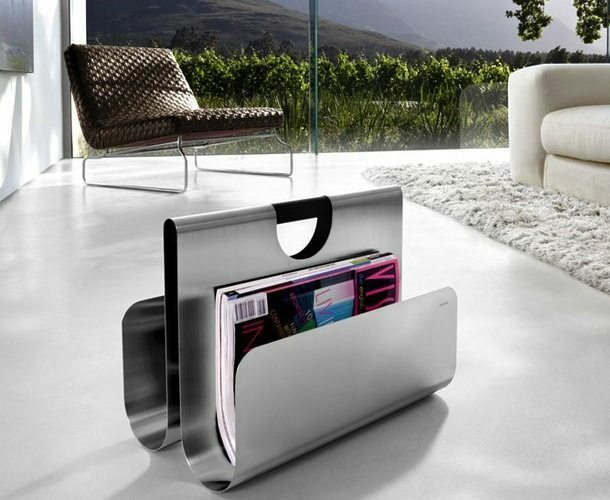 It’s a sturdy magazine rack that will give your magazine reading hours a new definition. 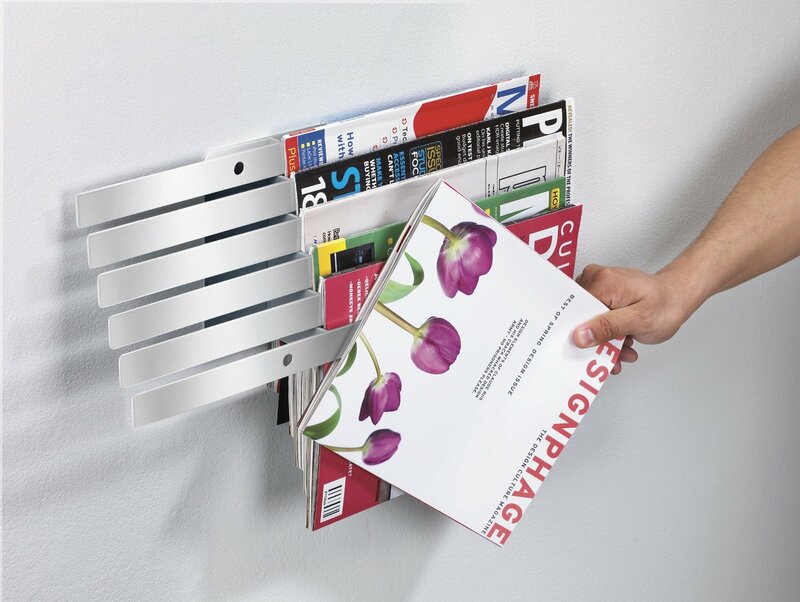 This stainless steel magazine rack brings will bring a contemporary feel to any room. Made in Germany by Blomus. 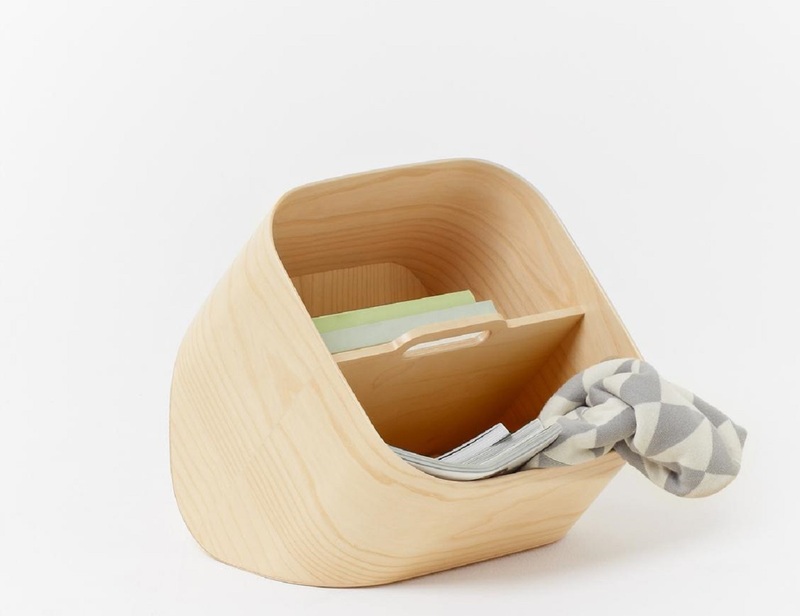 It has been made of natural beechwood with a perfect finish which looks pretty amazing as a modern magazine rack. 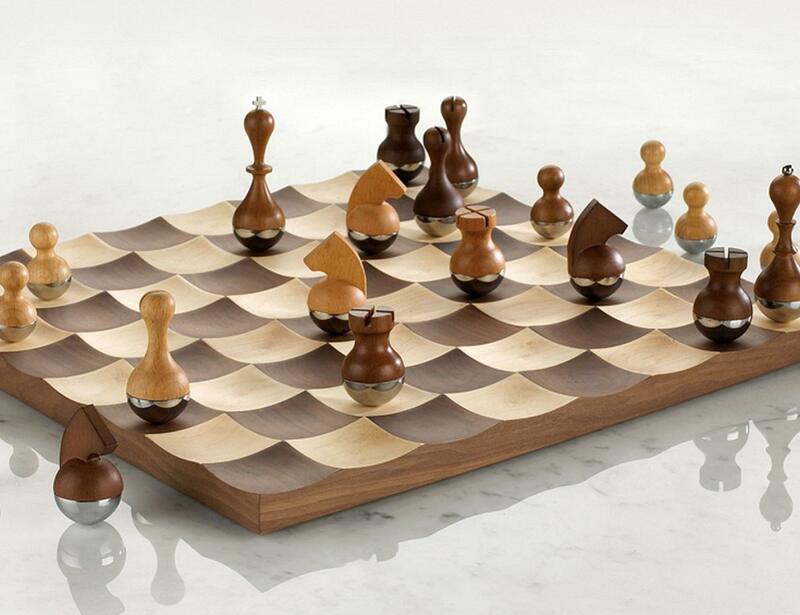 The Umbra Wobble Chess Set has a concave landscape which stabilizes freely quivering chess pieces, making for lively interaction between board and game pieces.